What is fungible and non-fungible? What did one mushroom say to the other? “you’re no better than me, we’re fungible!”. What is fungible and non-fungible? What does a non-fungible token do? I could give you the answer that a lot of crypto people would and start talking about the different ERC standards, but that’s too specific. Here’s the short answer, if something has a totally interchangeable value then it is fungible for example one gram of gold is equal to another one gram of gold, as such gold is fungible. On the other hand, if something shares a common distinction but is not interchangeable it is non-fungible, a perfect example of this is artwork, a Picasso work is not equal in value to an Andy Warhol work, but they are both artworks. A lot of people look at bitcoin as if there are a set number of bitcoins this is not really true there is infract just one bitcoin which is divisible. One unit of a bitcoin can be traded for another they are in this way totally fungible. The artwork on the Blockchain Art Exchange will be represented by Non-fungible tokens on the Ethereum blockchain connected to high-resolution works stored on the IPFS. 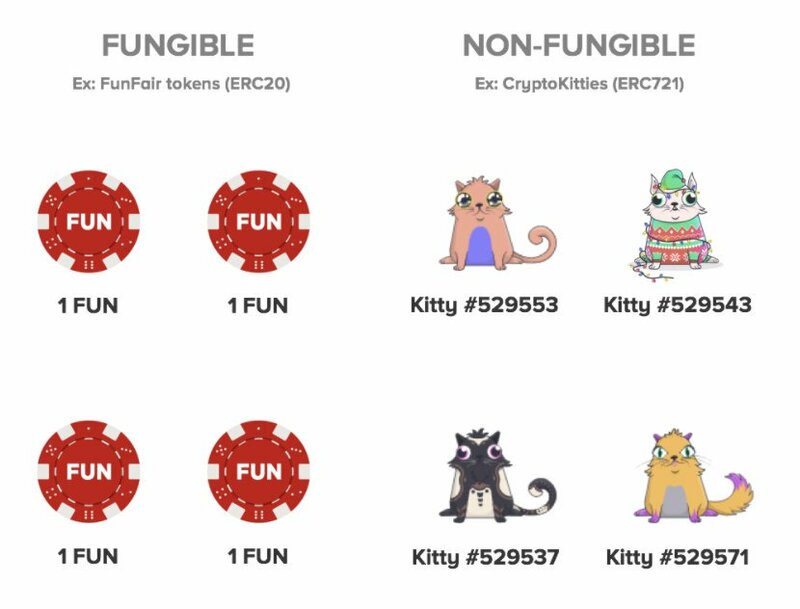 So, what makes a non-fungible token different to a fungible token other than what has been set out above. One of the main aspects is the attributes that are contained within the non-fungible token’s code, in our use case these contain objective information about the quality of the work connected to the token provided by our digital standard. PreviousPrevious post:The Blockchain Arts Club Podcast Episode 1: We Going To The Moon (Elon Musk)NextNext post:The Blockchain Arts Club Podcast Episode 2: Are art fairs good for emerging artists?